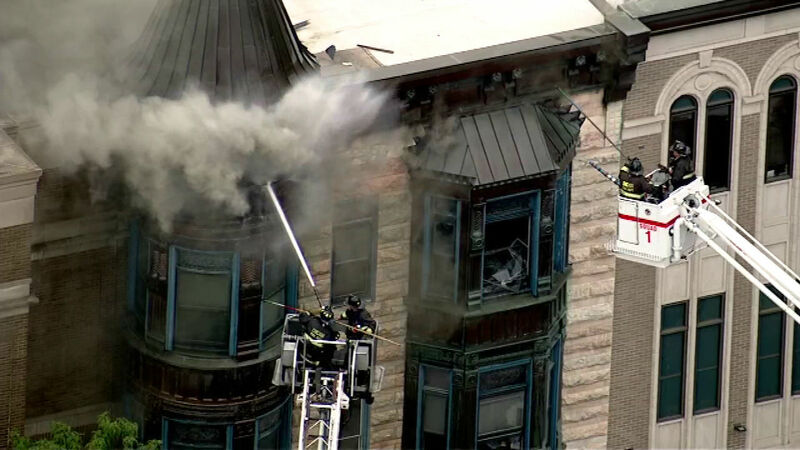 CHICAGO (WLS) -- The Second City canceled all shows this week to continue cleanup after fire destroyed part of the Piper's Alley complex in Chicago's Old Town neighborhood last week. All performances from Monday, Aug. 31 - Sunday, Sept. 6 are canceled. Theater officials said they hope shows will begin again on Monday, Sept. 7. They said they need more time to make sure the performance spaces are safe for talent, staff and guests. Most classes at The Second City Training Center are canceled on Monday and Tuesday. Officials expect classes to resume at Piper's Alley on Wednesday. "We've been fortunate to be surrounded by so much support and generosity. Our neighbors at Corcoran's, O'Brien's and Starbucks have provided us with work space and the theater and improv community have been incredibly generous with their space," said Andrew Alexander, CEO/Executive Producer for The Second City, Inc.
Officials said a grease fire broke out around 12:42 p.m. last Wednesday in the kitchen of Adobo Grill, which is located in the 1600-block of North Wells Street. The restaurant occupies the first floor of the 100-year-old building. 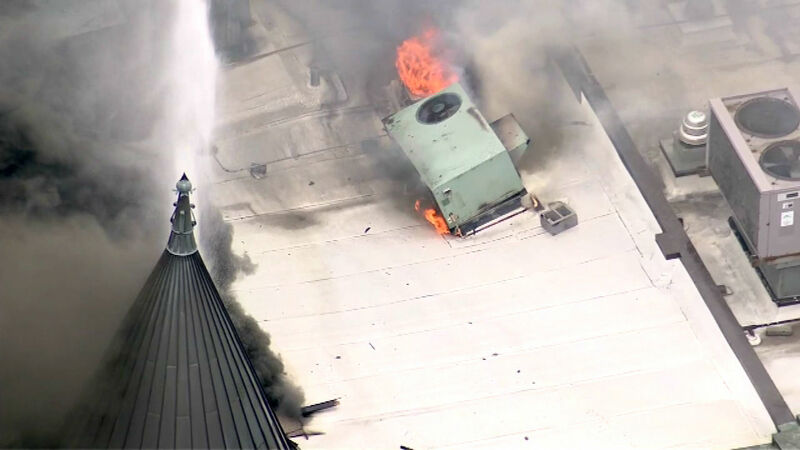 The flames spread to the second and third floors, where The Second City's administrative offices are located. Thick smoke billowed out of the roof as fire crews poured water into the building. It collected on the floor above the main stage. At one point, the water was two feet deep. In order to protect the stage, it had to be diverted to various sides of the building. After the fire was extinguished, building inspectors said the main stage area was virtually untouched. But Second City needed more time to make further repairs and clean up the performance space. The theater canceled all shows this past weekend and found alternate locations for classes. Second City officials said they will continue to send out updates as they become available.